When I was a puppy my owner got lots advice on raising a dog. There were trainers, the pet store owner and the veterinarian, and she had books of advice all over the house. 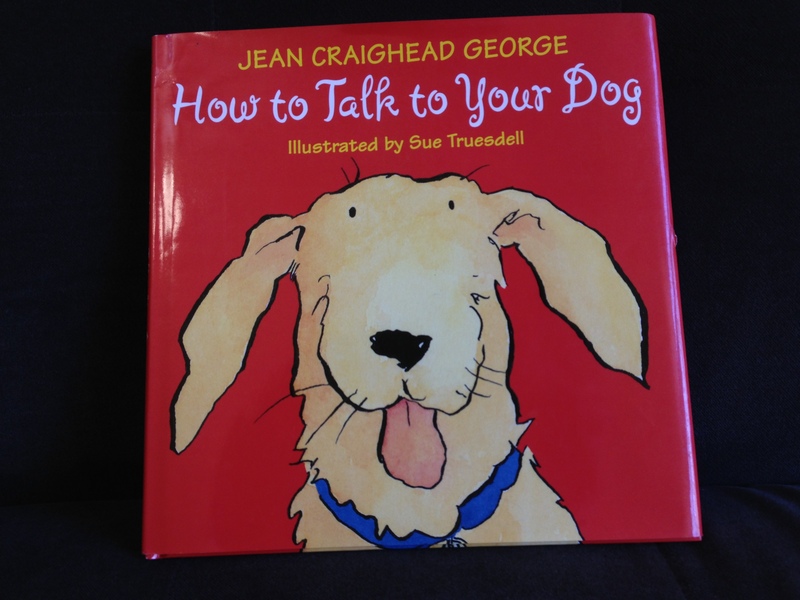 One of them was How to Talk to Your Dog, by Jean Craighead George. I liked the idea that my owner was going to talk to me and to understand what I was trying to say to her—even when I didn’t make a sound.When I discovered that Mrs. George, who’s an award-winning author of children’s books, lived in Chappaqua, not very far from my house, I knew I had to meet her. 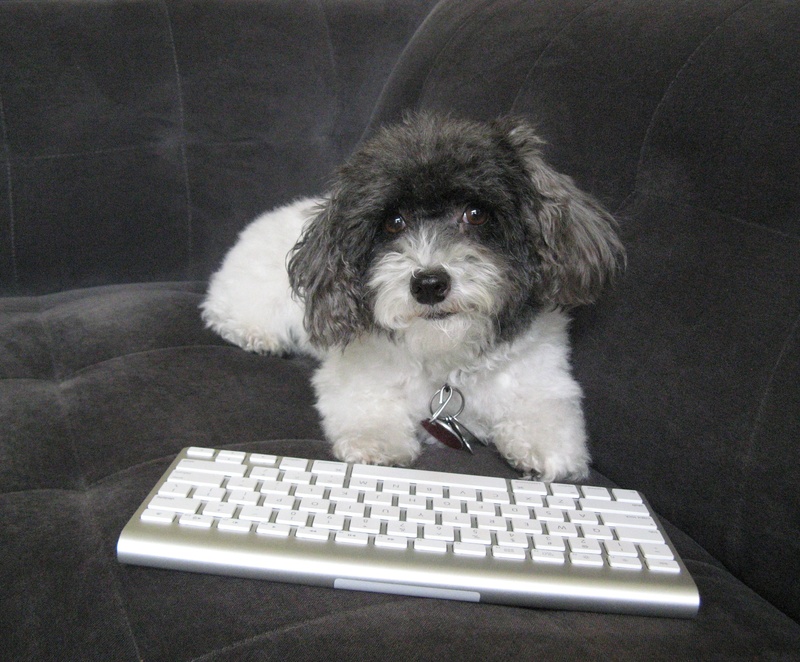 I wanted to know how a human could know so much about dogs. So, on my next walk into town I walked a little farther to her home.I could tell this was the home of someone who loved animals and nature. It was nestled in woods, and I could hear birds chirping and a bullfrog croaking in the pond. I saw a chipmunk scurrying in her garden. 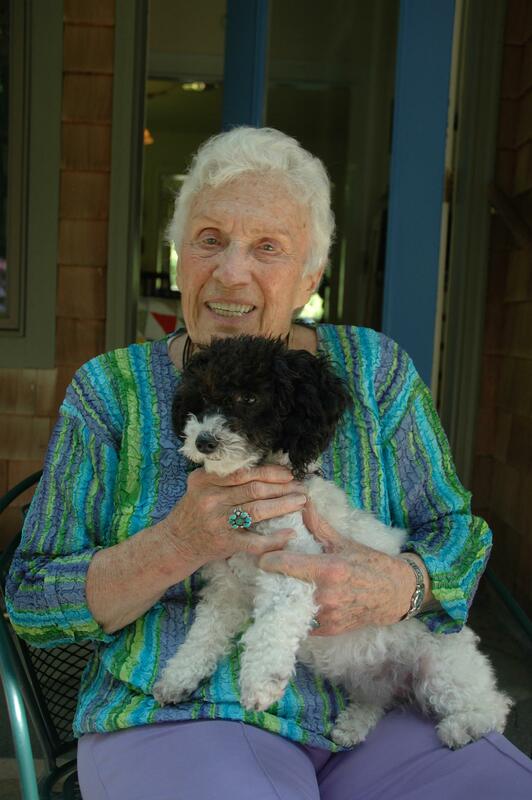 Mrs. George, who was 91 years old at the time, had lived in Chappaqua for 51 years. On Mrs. George’s working table were her notebooks and sketch books and a stack of letters from children. I was glad she read her fan mail. I asked her how she knew so much about us dogs and how we think. She told me she had had five dogs and had studied wolves. Her dog Qimmiq was the most wonderful dog and the inspiration for How to Talk to Your Dog. “After I studied wolves I realized Qimmiq was talking to me the way the wolves do,” she said. “He howled ‘Ah oohh’ just like a wolf. My granddaughters would call in the morning and say, ‘I want to speak to Qimmiq.’ I’d hold up the phone and he’d howl. And then they would hang up. They didn’t want to talk to me.”I liked the way Jean George talked to me and was very intrigued by the way she spoke about Qimmiq. I wished I could have met him. We could have been good friends. When I got home, I turned on the computer and went to her website www.jeancraigheadgeorge.com. There I found a video of Jean George and Qimmiq talking to each other. I could hear the love in Jean’s voice and in Qimmiq’s howl. Before I left, Jean George gave me some good advice: “Always obey,” which I didn’t much like, and “Let your owner know when you are annoyed!” That made my tail wag, and I hope my owner heard it too! My owner told me that Mrs. George passed away in 2012, two years after I met her. She said she was sad because she was such a great writer, but she was glad that I got to meet her too. How do you talk to your dog? Thank you Laurie! I always loved talking to you and seeing you and Michael.